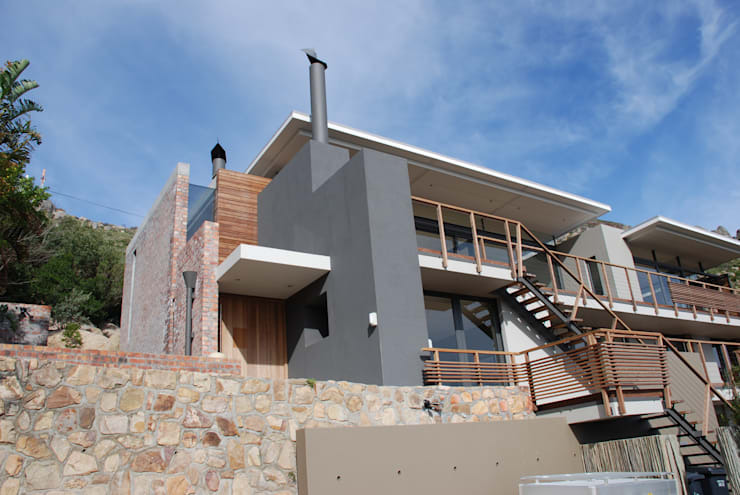 Located against the mountain slopes of Llandudno in Cape Town overlooking the Atlantic, this outdated home was in severe need of not only a style up, but also extensive additions. And with the help of some creative experts, the footprint of the existing house was used as a platform from where the new structure unfolded. Natural boulders protect the house on its south-eastern edge, which allows openness in this direction. Elsewhere, the structure is more enclosed, although punctured and cut open to allow views to the mountain. On the outside, the house’s new look presents a most striking combination of materials, with timber, exposed brick, concrete, stone and glass all contrasting superbly with one another. And seeing as the house is located on mountain slope, and presents a double-storey build with open balconies, we can just imagine the breathtaking ocean view these fortunate inhabitants get to enjoy. Thanks to skylights and glass doors, the interiors of the house get to bathe in an abundance of natural light, not to mention enjoy prime views of the surrounding landscape. 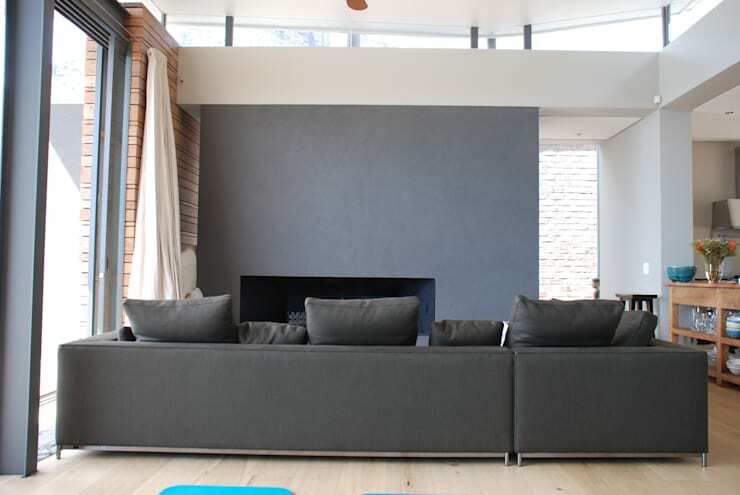 Here, in the open-plan layout which houses the living room and kitchen, a focal wall (presenting the modern fireplace and clad in thunderstorm blue) injects a bit of bold colour to coincide with the neutrals that control the interior colour palette. We are willing to bet that this bedroom gets the best view in the entire house. With thin glass doors separating the bedroom from a timber balcony, this spot provides the owners with a superb location to appreciate some of Mother Nature’s best handiwork. See the lush greens which stretch out in the background, beautifully adorning the landscape as it transforms into a high-rise mountain. 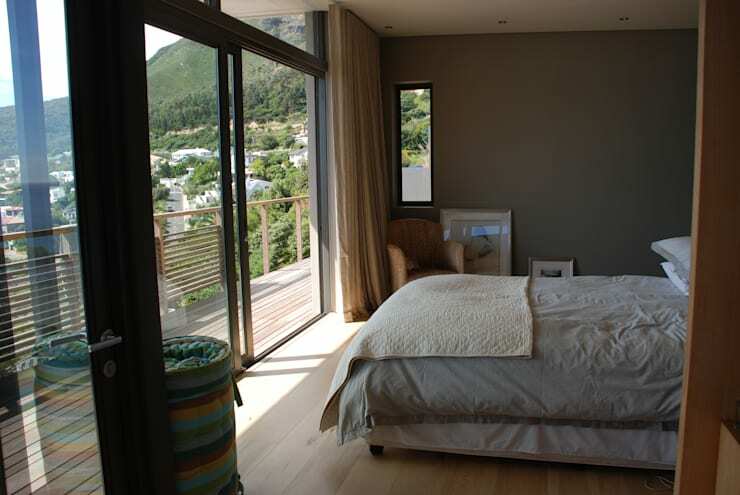 Definitely not the worst view we’ve seen here on homify! 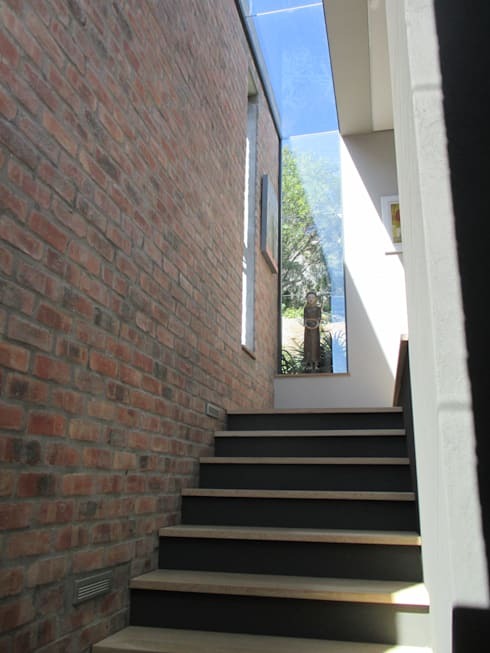 Glass is definitely one of the key players here; see how certain windows bleed straight into the roof/ceiling, transforming into modern skylights which help bring in even more natural light. We close off our tour with a look at one of the bathrooms. And seeing as those eye-catching materials of the façade proved to be so successful, it was decided to have them repeat in here as well. Thus, we have exposed brick for the focal wall, clean timber for the floor, concrete for the ceiling and select wall surfaces, and glass for windows/doors. Is there anything better than soaking up in a bubble bath overlooking the vast ocean? Not to our knowledge. 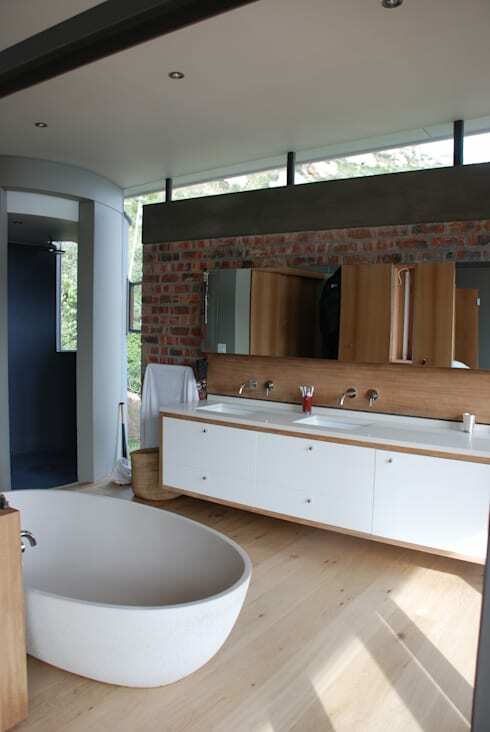 Have a look at these 9 DIY ideas for decorating your bathroom with stone. We love hearing from you, so share with us your thoughts on this house.